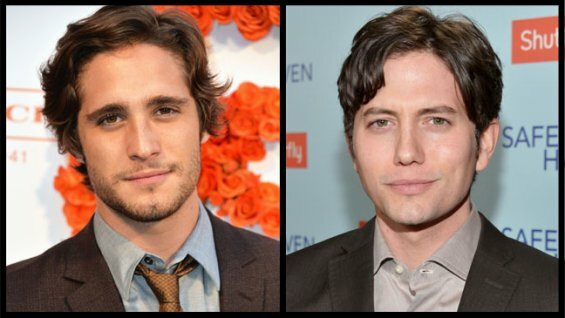 Diego Boneta and Jackson Rathbone are toplining the debut feature of assistant-turned-director Kirk Sullivan. Diego Boneta, who starred opposite Tom Cruise in Rock of Ages, and Jackson Rathbone of Twilight Saga fame have signed on to star in the thriller The Dead Men. Dead Men is the debut feature of Kirk Sullivan, who recently left his job as Joel Silver’s assistant to pursue his dream of being a director. Production began this week in Columbia. Brad Furman is producing with Contento Films while Aaron Ginsberg exec produces. The script, by Andrew Poston, centers on an American running from his past who is brought into a group of young underground radicals called The Dead Men, only to discover a centuries-old spiritual battle. Boneta, who hails from Mexico, did stints on Pretty Little Liars and 90210 before landing the plum starring role of the aspiring musician in the big-screen version of the hit musical Rock of Ages. The actor, who is repped by Gersh and Hansen Jacobson, also starred in MTV’s Underemployed. Rathbone played vampire Jasper Hale in the Twilight movies and also starred in the McG-produced digital short series Aim High. He is repped by Paradigm and Cutler Management.